I spoke with Progressive Podcast Australia recently about my new line of women’s clothing, bongs, and pottery (well not really, but I think the hosts may be on to something with the suggestion). We met when I was down in Australia for a speaking tour a while back and it was a pleasure to catch up. 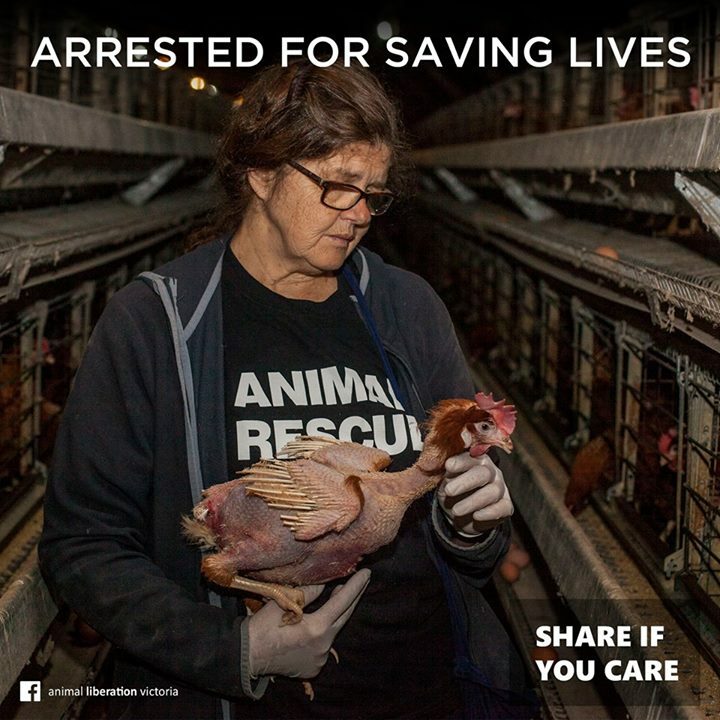 The episode is particularly timely as longtime Australian animal rights activist Patty Mark was recently arrested for her role in saving abused hens. She is facing charges of burglary, theft, and criminal damage for her alleged open rescue of the hens — a tactic she truly pioneered and that has influenced the animal rights movement internationally. Patty would I’m sure be the first to say that the real audacity of her arrest is that the real criminals — the people responsible for this cruelty — are facing no charges at all.